One way flow of documents... The way you want it. Branch Managers in your business will be under constant pressure to reduce information overload and make available only what needs to be shared with head office to increase productivity at every stage. Revolutionary one-way synchronisation feature of Tally.ERP 9 lets you set and manage flow of information from your branch offices to Head Office or central branch as per your business requirement. 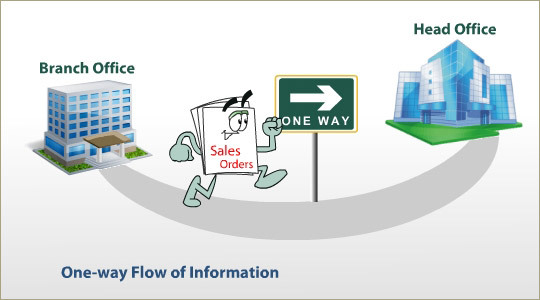 This feature allows you to set one-way flow of documents-- for example sales orders from branch offices to move to Head Office and not the other way around.